Venice is a magical city unlike any other. We had explored the winding streets of Venice, window-shopped at fancy boutiques, and enjoyed being serenaded by an Italian gondolier on a night time canal ride—all on a previous trip to the city built on water. So this time we decided wander further away from the main section called Veneto. We joined a tour that took us to the famous glass-blowing island of Murano and then on to Burano, where lace making is a practiced art. While there, I was on the look-out for some special souvenirs. Touring on the water made it easier to see the geographical structure of Venice, which is composed of 117 natural islands connected by more than 400 bridges. 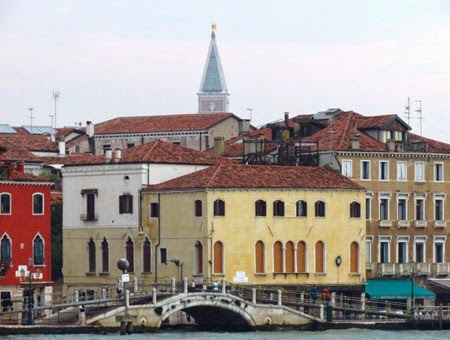 Although the total population of Venice is 58,000, some of the smaller islands are inhabited only by sea birds. Transportation in Venice is primarily by boat or on foot. Our guide Francesca tells us that the absence of cars makes Venice one of the safest and cleanest cities in the world. Children become independent early because they walk everywhere. 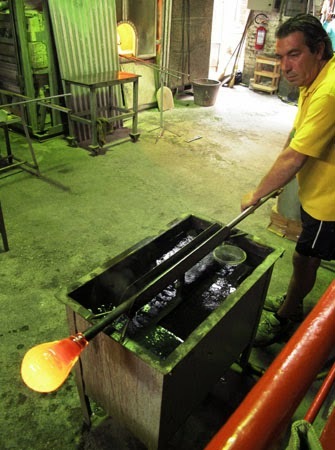 Murano has many glass blowing furnaces, which attract visitors to the island. 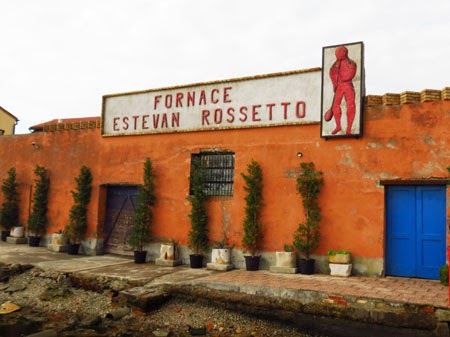 After riding through the historical Jewish ghetto of Guidecca, now a pleasant residential area, and St. Mark’s basin on the southern coast of Venice, we arrived at Fornace Estavan Rosetto, one of the oldest glass furnaces in Murano. There master glass blowers gave shape to incredibly beautiful works of art using both traditional and modern techniques. Glass blowing has become a major tourist attraction and the main economic factor for Murano, an island of 10,000 people. skilled hands of a master blower. We watched a master glass blower take a piece of molten glass out of the oven (1800 degrees), form it quickly into a small vase, and then set it aside because it was still 900 degrees hot. When the guide put a piece of paper inside the vase it immediately flamed and burned, leaving only black soot inside. A glass blower apprentices for 15 to 20 years and then continues to perfect his technique before being considered a master. 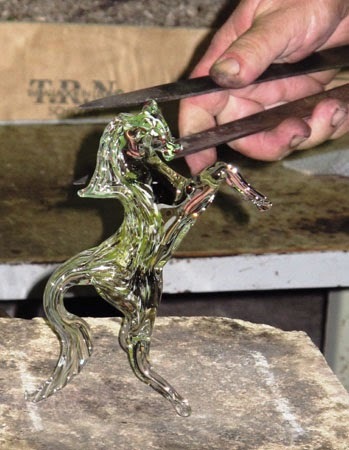 Working quickly with nimble fingers wielding metallic tools and a practiced technique of blowing air into a pliable glass tube, the blowers showed their artistic skills when creating a horse and other multi-dimensional figures. After the demonstration, we spent time in the shop admiring extraordinary art pieces composed of complex colors and shapes. Some pieces were made with bubbles inside, and amazing sculpture-like forms highlighted a variety of textures. After admiring the uber-expensive exhibits, I wandered into the area with affordable pieces, not cheap souvenirs but collectible works showcasing all the skills of the blowers—just smaller and less ornate. I was enthralled by so many lovely items, but I eventually settled on a traditionally designed vase featuring blue and copper stripes and 14K gold somehow inserted into the handle. It’s a piece I’ll treasure for a long time.